This is the dreamed route, full of eternal green forests of different stratums named in Chile as "Bosques Valdivianos" for their abundant vegetation, known as the only mild rainforests in South America. 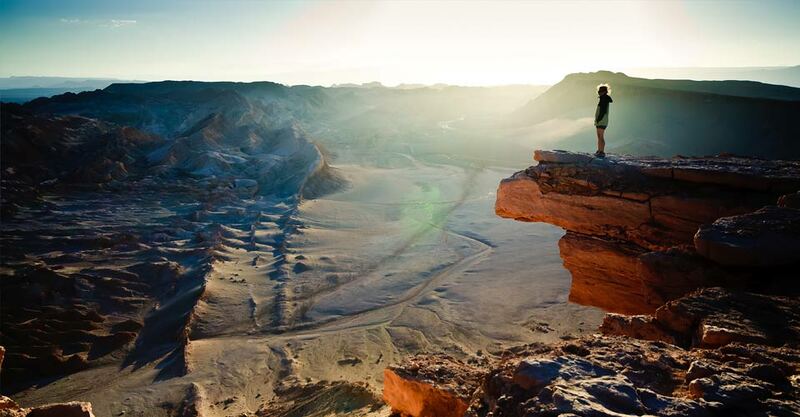 You will find yourself immersed in landscapes that date back to thousands of years, formed by volcanic eruptions. The lava of these volcanoes has molded geography to form lakes and lagoons. 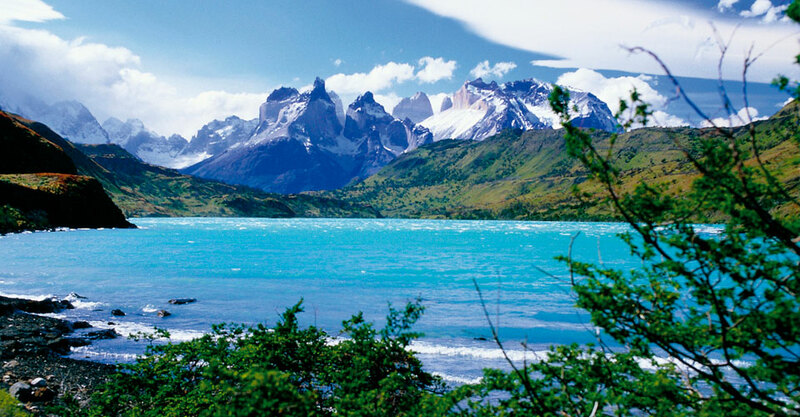 This is a journey through the highlights of the Chilean southern and from Patagonian Northern. Puerto Varas is the final destination from this route, magic place than bring beautiful landscapes to the Llanquihue lake. 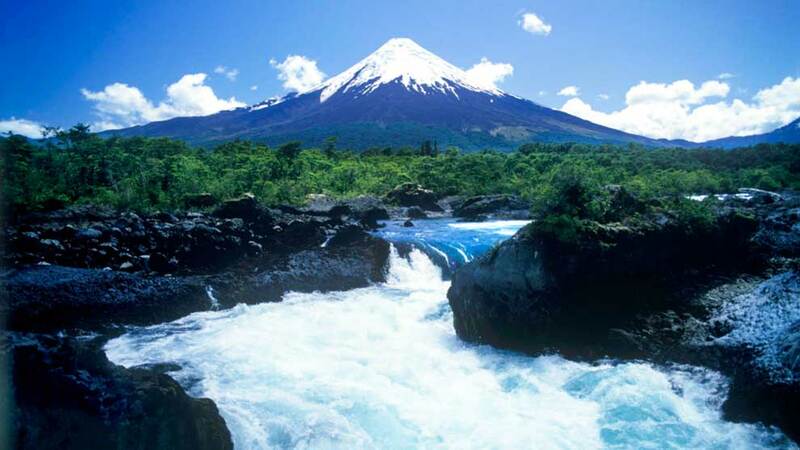 From Puerto Varas is possible to visit important icons from this lands as National Parks, island, handicraft and culture. In this journey will be time to enjoy also others places, of adventures and activities as you like it. Some attractions that you will able to experience are wildlife and nature, native forest evergreen, lakes, rivers, falls, volcanoes and islands! Day 1 - The Journey to Explore Los Lagos and Volcanoes Region begins! 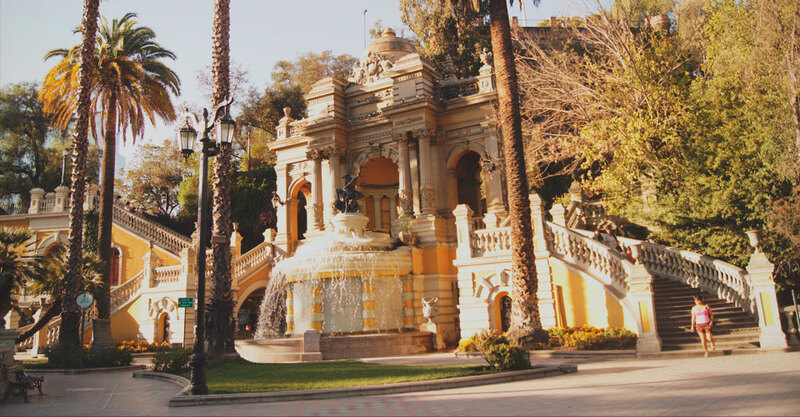 The first stop will be Concepción, where you will have the afternoon to freely explore its surroundings. 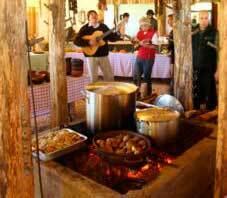 The region will attract travelers to try one of the most important specialties of "Chilean cuisine", the Typical Homemade Dish known as "Cazuela de Vacuno". If you want to know the secret ingredients, don't think it over and enjoy a fresh warm dish to reenergize as we continue our trip. Temuco is a city located at the heart of the region of la Araucanía which offers rich ethnic and cultural variety that complement this beautiful place in the South with wonderful and attractive natural spaces. Temuco is a space where landscapes vary from Volcanoes, lakes and native vegetation to contrasting scenery of ski resorts and prairies. We recommend a visit to Cerro Ñielol, which offers the opportunity to enjoy a pleasant view of the city of Temuco. Seen as a natural monument, this hill is a Nature Conservation spot that protects unique species such as the Chilla Fox, Reddish-tailed Harrier (from the birds of prey family) known as aguilucho de cola rojiza, culebra cola corta, and the very small Four-eyed frog or "sapito cuatro ojos". A good plan to start your morning is to have lunch at the Central Market, known in the Region as "Mercado". After tasting homemade preparations of typical dishes of the Chilean culture, our trip continues to Caburgua, the land where nature's true beauty is reflected in amazing natural spaces. Landscapes formed by beaches, waterfalls and the Waterfall known as "Ojos del Caburgua" will inspire all kinds of travelers, especially nature lovers. 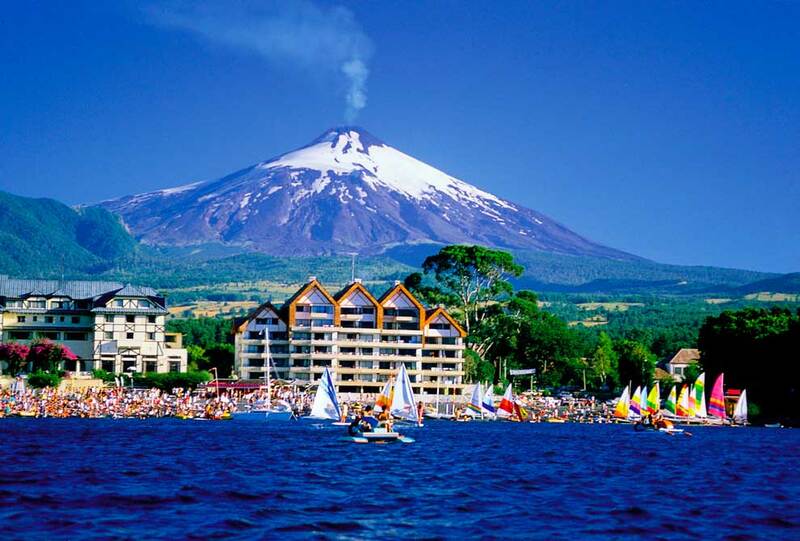 As we get up, Pucón, one of the most touristic and attractive cities of South Chile, will amaze us with its most characteristic highlight, The Villarrica Volcano, located at the Anden Foothills or inspiring "Precordillera Andina". 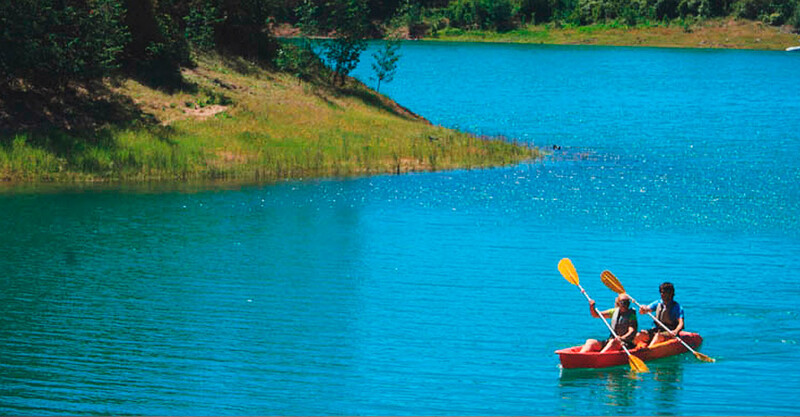 The Lago Villarrica welcomes a vast and extensive link of water mirrors that decorate Southern landscapes reaching the Southern areas or Chile's Zona Austral. History comes alive through indigenous towns and the very famous Mapuches, people that preserve the cultural and rich traditions of the Southern Region. The South has become a new home to German Settlers that contribute with a culture of distant lands. This rich part of the country has given them opportunities to construct Hotels that have become a space to develop their culture since the late 1920's. The wide variety of activities you can choose from are: Feeling true adrenaline by Rafting in Río Trancura, Bicycle Riding through the interesting and beautiful city of Pucón, A true adventure experienced through breathtaking views seen by Trekking in Conguillio National Park or Trekking the ancient grounds of Volcán Villarica, Relaxing in the Thermal Waters of Panguipulli or San Luis in an area where hot springs flourish. Leaving the heart-warming and enchanting beauty of Pucón, it is time to get back on the road and continue our magical journey where Southern Landscapes grow in beauty. As we start to immerse ourselves into Patagonic lands, the Chilean Northern part of La Patagonia will be waiting to greet us with more natural gifts. 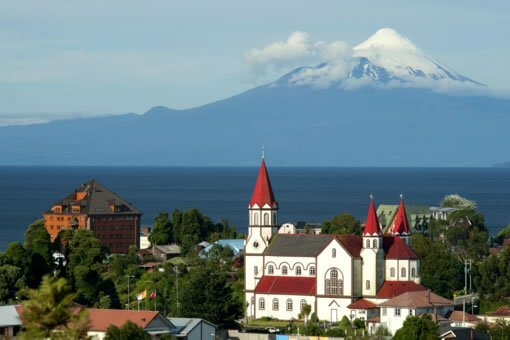 At first, the City of Puerto Varas seems far from our reach, but after some extensive driving we will discover that it was all worth it as Puerto Varas welcomes travelers with true Southern Magic. As you walk and enjoy the interesting architecture complemented with the majestic Volcanoes, watching the sunset in the unique scenario of Lago Llanquihue in which the lights of the cities are reflected, will make you yearn for a new opportunity to travel to this magical part of Chile in a near future. Interesting places you will not forget: Cerro Philippi, Culture expressed in unique Handcrafts, a historic walk through Museo Pablo Fierro, the inner experience of walking in Iglesia Sagrado Corazón de Jesús. A new morning brings a new opportunity to visit a vast variety of places close to the land of legends, Chiloé. 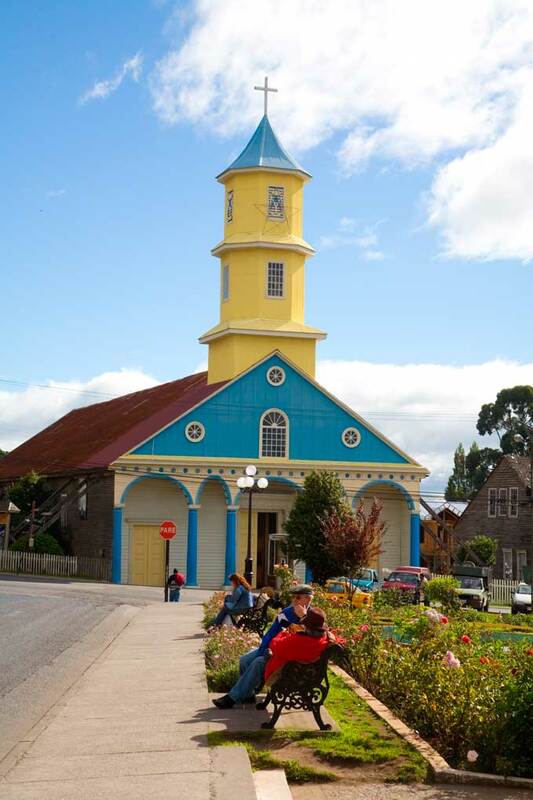 Only 20 minutes from Puerto Varas we will find Angelmó a town where time has made this place even more beautiful. 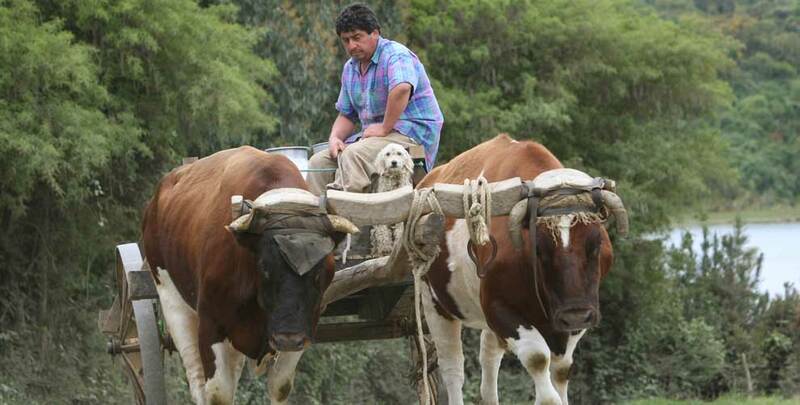 Its treasures are exhibited through the variety of its handcrafting tradition, and the flavors of typical Chilean dishes in a memorable gastronomic experience. Angelmó shares its high quality and fresh products. 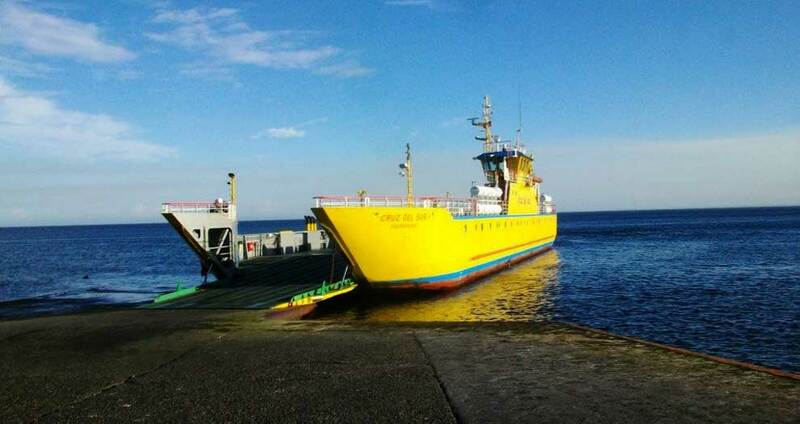 The ferry in Puerto Montt will take us on a journey through the Canal de Chacao to finally take our first steps in the Biggest Island of Chile. We will disembark the ferry in the City of Ancud. Since Chiloé shelters different towns located at different distances if you prefer to travel for shorter periods of time we highly recommend the city of Castro, where travelers will have the chance to enjoy some other most important highlights of this island, the Palafitos de Lillo o Montt, the Patrimonial Church of Plaza de Armas and Feria de Yumbel. If you feel like exploring further into Chiloé Island, Chiloé National Park will surprise you with its native species of flora, fauna and a rich variety of birds. On the seventh day of our journey we will have the complete day to visit and explore the magical and cultural spaces of this magical land. We invite you to treasure each moment as you explore the tradition and unique special flavors of one of the top characteristic dishes: the curanto con Chapalele (based preparation seafood). If you thought one day was not enough to explore the Magical Chiloé, we encourage you to enrich the journey by visiting the Puñihuil Penguin Colony or Pinguineras, a place where the most characteristic species of penguins walk freely accompanied by other very interesting marine species like sea lions, a unique spot to observe Chiloé Whales, otters and beautiful seabird species. A true Natural Monument where you can experience a close encounter by taking a boat ride to visit the Islotes, home for this rich diversity of marine life. Since it seems difficult to leave such a magical place, we want you to say goodbye in a warm and cozy atmosphere by enjoying a nutritious and rich breakfast in Ancud. As we get back on the road to return to Puerto Montt, the beautiful characteristic landscapes of Chile's Southern Region will accompany our journey. 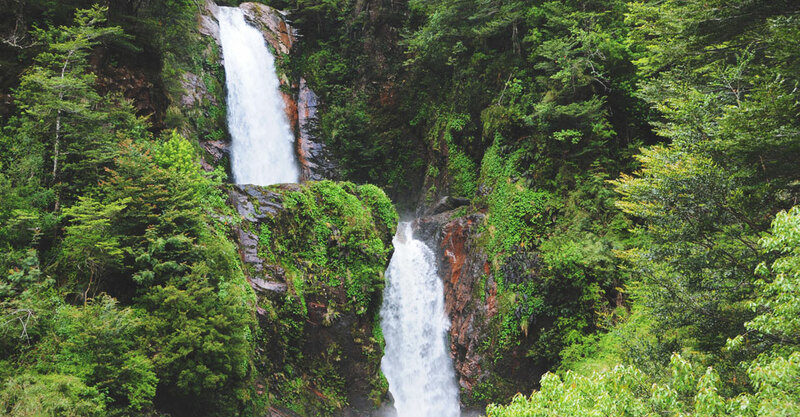 Located at a short distance from Puerto Montt we will encounter Vicente Pérez Rosales National Park, where the impressive natural highlights are born in the area of Ensenada. Here beauty ranges from the pristine waters of the famous Saltos de Petrohué and the Lago Todos los Santos to the extraordinary atmosphere inspired by the heights of Volcán Osorno and Laguna Verde. Happy to rediscover the beauty of Parque Nacional Vicente Pérez Rosales or the surrounding places of Puerto Varas, we will have a free day to enjoy the different activities this Region has to offer. 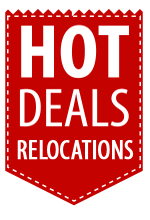 Considering your personal interests, activities such as trekking and nature observation, or visiting the City are two very attractive scenarios. As we treasure intense days of breathtaking natural landscapes, and after travelling many kilometers, taking the route back to Santiago will award you with new experiences. On our return-trip the first stop is at a close distance of 20 minutes from Puerto Varas, where the City of Frutillar will welcome us with open arms. This place of South Chile has become famous for the legacy of its Settlers, where culture is reflected in the construction and identity of this beautiful town. The traditional kuchen will become a sweet treat that will be greatly enjoyed from a Café with a view to Lago Llanquihue. 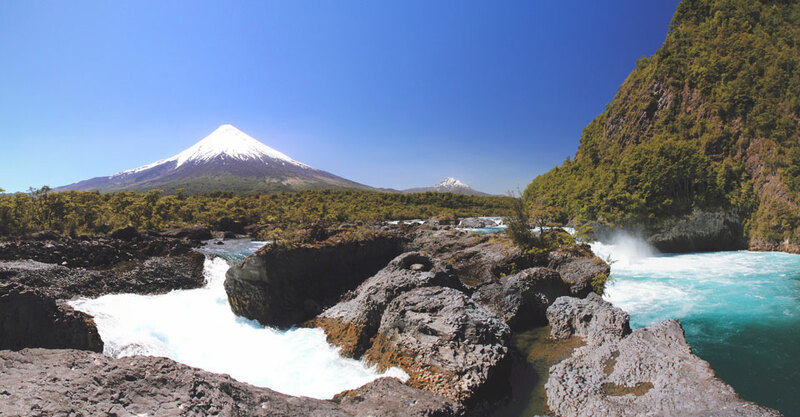 During the afternoon hours you can return to Osorno to treasure new spaces with beautiful landscapes as you discover that South Chile will never stop to impress its travelers. Approximate hours of trip: 3 hours, taking the route from Ensenada to Osorno. After enjoying a reenergizing and tasty breakfast we will get ready to drive to the North Side of the country and stop in Los ángeles City to stretch our legs and try a known or new typical dish from the region. 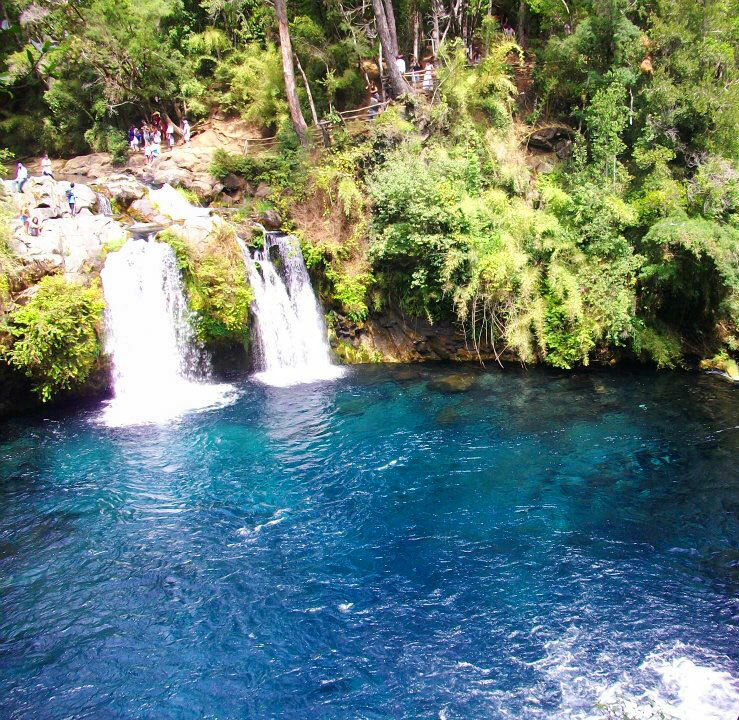 As we advance through the road we cannot miss our stop at Saltos de Laja, located 25 kilometers to the North of the city of Los Ángeles. 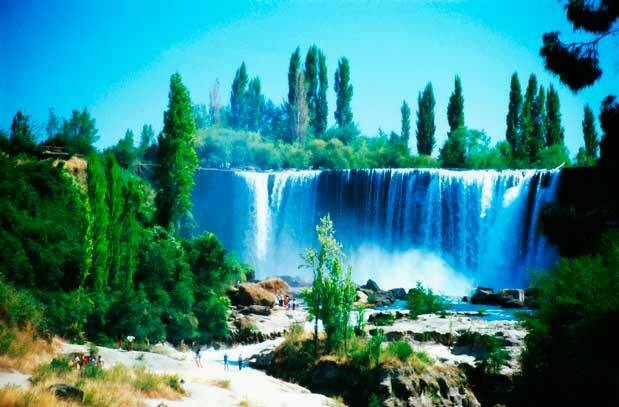 The interesting name given to this place refers to a group of 4 waterfalls approximately 40 meters high. Today, we will have a full day to enjoy the famous group of waterfalls from a different point of view. We will have the opportunity to explore this special part of the South and treasure a part of it in our hearts by walking through trails, photographing the beauty of the waterfalls and its surroundings, or feel inspired by observing nature. An early morning ride will take us to a famous Resort for surf-lovers and for travelers who like enjoying the comfort and relaxing activities that Resorts can offer. If you enjoy the unique flavors of a glass of wine or if you are interested in the Wine Industry such as its rich elaboration process, a visit to the city of Santa Cruz will become a great plan for the day. A true highlight of the area is the Colchagua Valley treasuring one of the best varieties of wine in Chile. Surrounded by Vines, the Colchagua Valley has become a paradise to enologists, wine-lovers, experts in the wine field and demanding palates and travelers that will discover the richness of Chilean Wine in every wine-tasting experience. As you remember memorable moments experienced at the enchanting and magical Regions of South Chile and as you remember every gift and tradition from Chiloé Island, Native Forests immersed in the inspiring beauty of nature, the calming atmospheres of lakes and volcanoes and all treasured in a magical journey, going back to Santiago seems like a nostalgic experience. The last part of our trip will begin early in the morning to reach our final stop in our Parking Lot in Santiago. The time has come to return our Premium Camper, a loyal companion of our journey which gave us the opportunity to live a unique experience in South Chile.